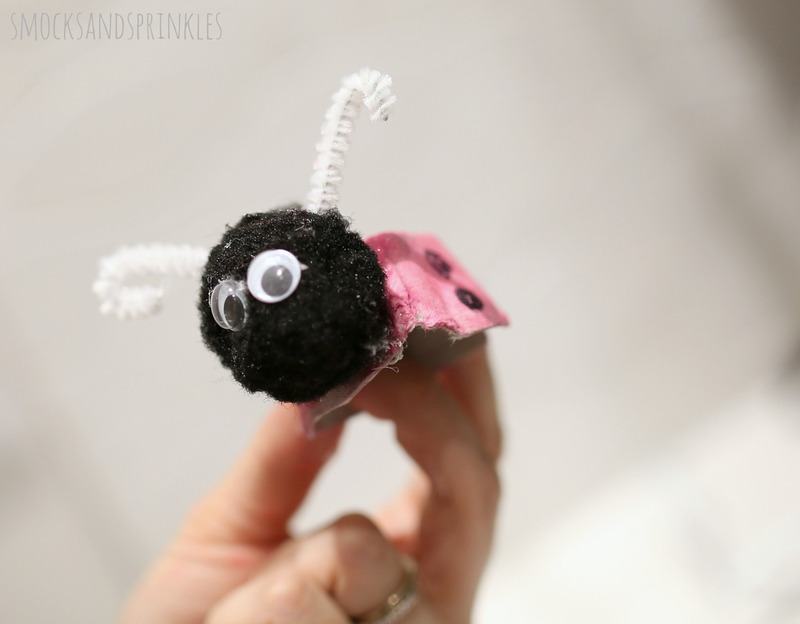 Smocks and Sprinkles: Love Bug Egg Carton Craft- With A Surprise Inside! 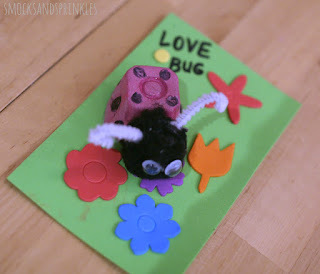 Love Bug Egg Carton Craft- With A Surprise Inside! 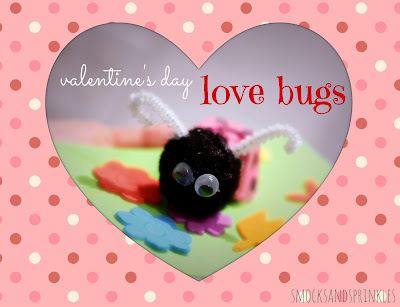 Love is in the air already! 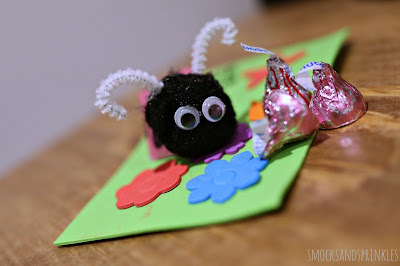 Valentine's day is coming up and we are creating some special love bug Valentine's day crafts like busy little bees...buzzzzzzzzz (sorry, I just couldn't help myself). This craft is so much fun for your little ones to make and they have a hidden surprise inside! WOOOOOOOO! 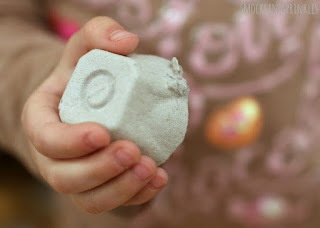 This nearly blew my 3 year old's mind. 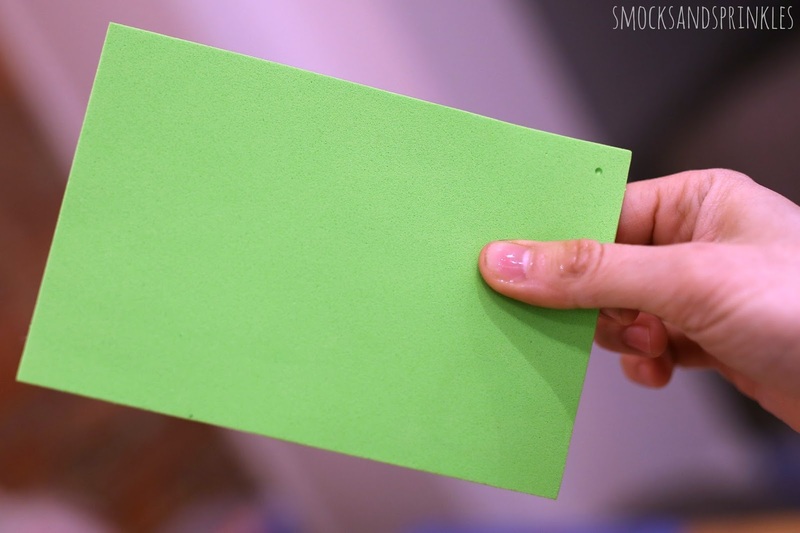 "You are putting WHAT inside? CHOCOLATE???" Grab those empty egg cartons and your craft supplies and let's get started. 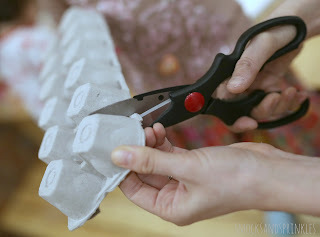 Cut out individual egg cartons. Have your child paint them. 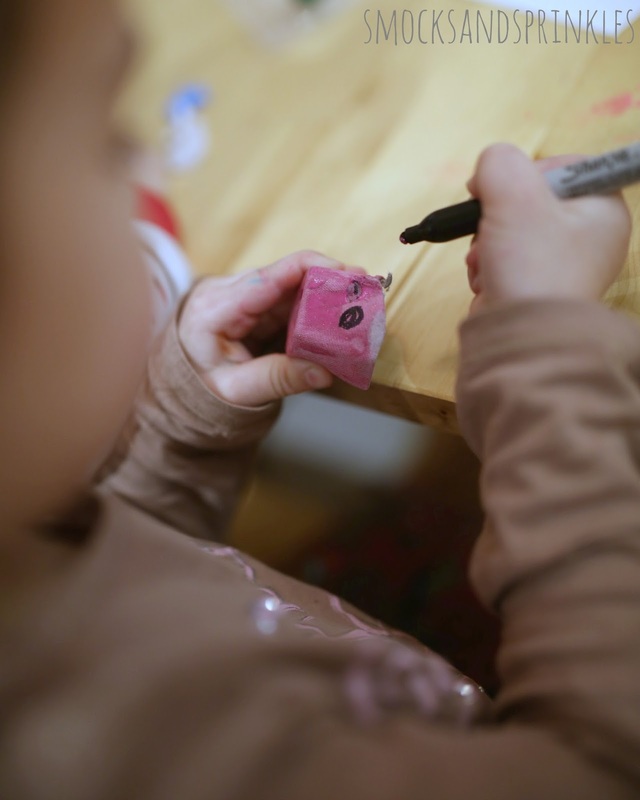 Let dry and then have your child decorate with markers. Polka-dots look super cute and are easy for young ones to draw. 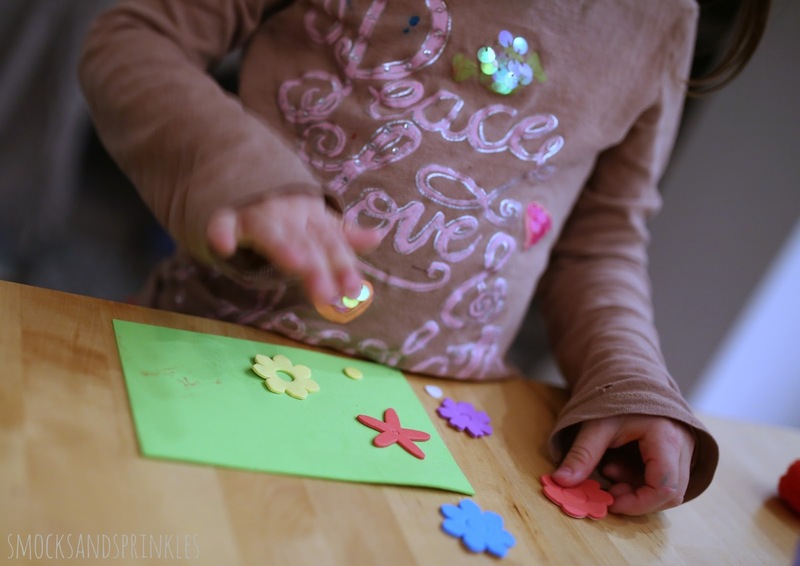 Let your child decorate the base using stickers or markers. I found these flower shaped stickers at Dollarama. 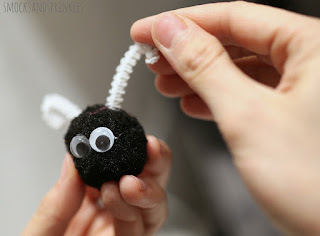 Cut antennae from pipe cleaners and curl ends slightly. 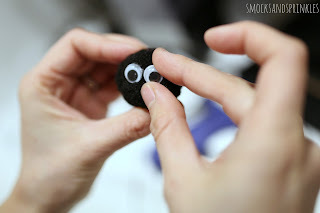 Using a glue gun, stick eyes and antennae onto pom pom head. 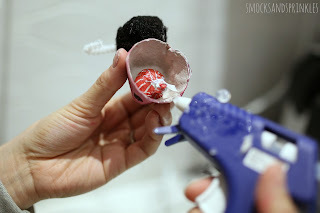 Attach completed head onto decorated egg carton. 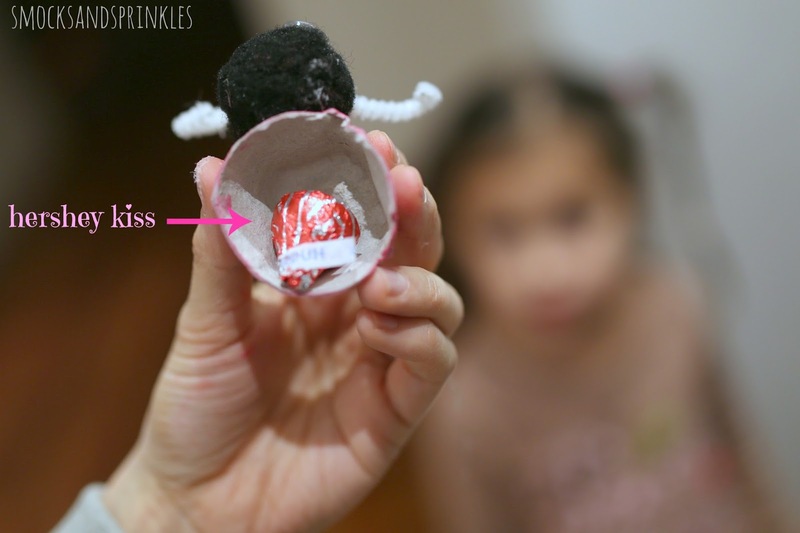 Insert a hershey kiss/hug into egg carton. 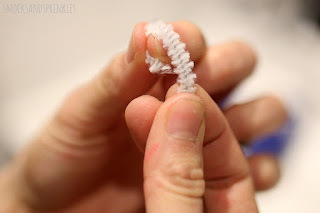 She was AMAZED by this! 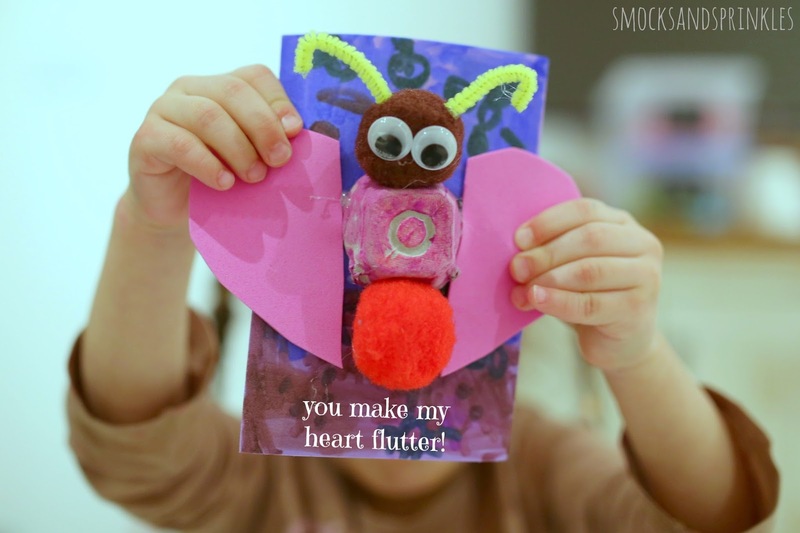 Personalize with cute messages (i.e. Beeeeeeee mine, You make my heart flutter, To my love bug etc). You can really make a variety of different bugs. My daughter insisted on making a butterfly and it turned out great. 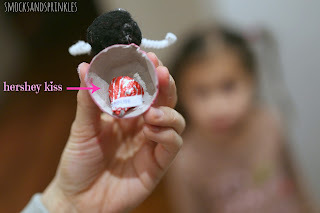 She loved the idea of a sweet surprise hiding inside! Look at those googly eyes! What sweet Valentine's day crafts are you planning on making this year? Share the love with us below! And if you happen to make some of your own cute critters, don't forget to post some pics for us to see! 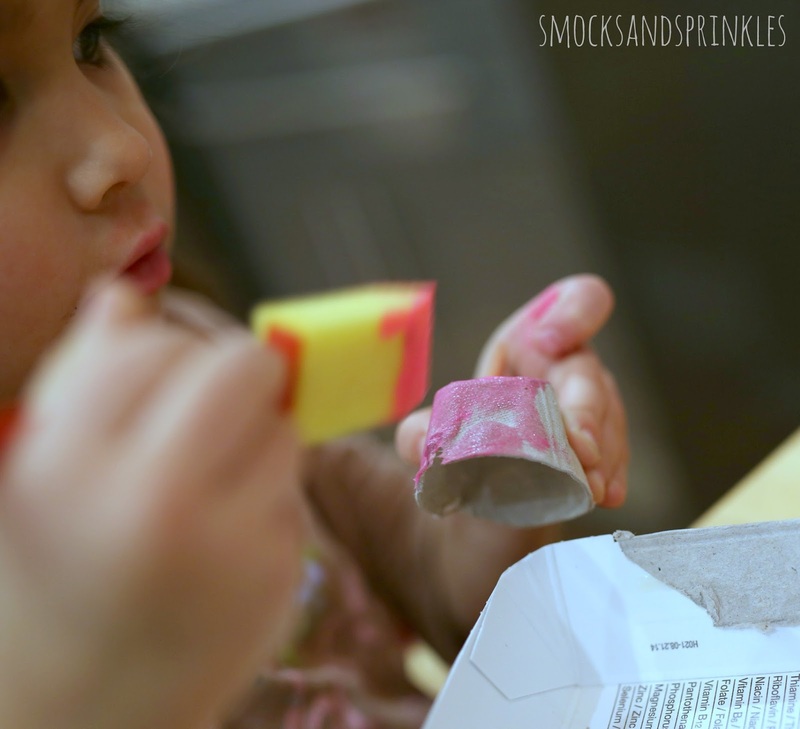 Tag us on Instagram (@smocksandsprinkles) or Facebook!